When you’re debut, reviewers take an additional look at you. They, like everyone else, want to know about you, your book, and what you write. This is especially beneficial and, I think, appropriate. You’re a new quantity. With any luck, some of the now dwindling review space will go to you. People want to hear about the story. Yes, those who are unpublished and writing their own manuscripts want to learn a bit about how your particular story got to market, but the majority of readers want to hear the story. 3. Marketing—it’s a strange and unusual pastime. Every author out there feels the pressure to market their novel and I’m no different. Running from the Devil launched in the worst economic downturn in forty years. People who used to buy hard cover books without a second thought were thinking twice. Established authors saw fifty percent declines in their sales. Asking readers to take a risk on a debut author was asking a lot. While this may have created an argument for more intensive marketing, I’m not sure that marketing sells a book. I did the usual things authors do: blog, tour, and attend conferences, and the book sold, but I did none of these things in Germany and there the book hit the bestseller list and continues to sell at a rapid clip. Same story, no additional input from me. I find that interesting. I’ll continue to focus on the writing, do what I can when it’s launch time and let the marketing team in New York run with it. Between us, we’ll get it done. 4. Keep your head about you and your ego in check. It’s a heady day the day your first novel appears on the book shelves of your local bookseller. If it sells well, you feel great. Don’t, however, fall prey to your own press clippings. You’re an author, you didn’t cure cancer. Do your best not to act as though you did. Like most things in life, a career is a marathon, not a sprint. Know what you want and ask for it, but keep your expectations in line with reality. Try to be nice, it will pay off. Watch out for the users and fakers and liars. Find someone in the industry you can trust and listen to their advice. Being a writer is a strange alchemy of imagination and work, but it’s fun and magical. My publisher just picked up books three and four and so I’m employed for a while. I intend to enjoy every minute of it. My heartfelt thanks to all the readers out there who made it possible. Sage advice, Jamie. Even for those authors who've published more than one. 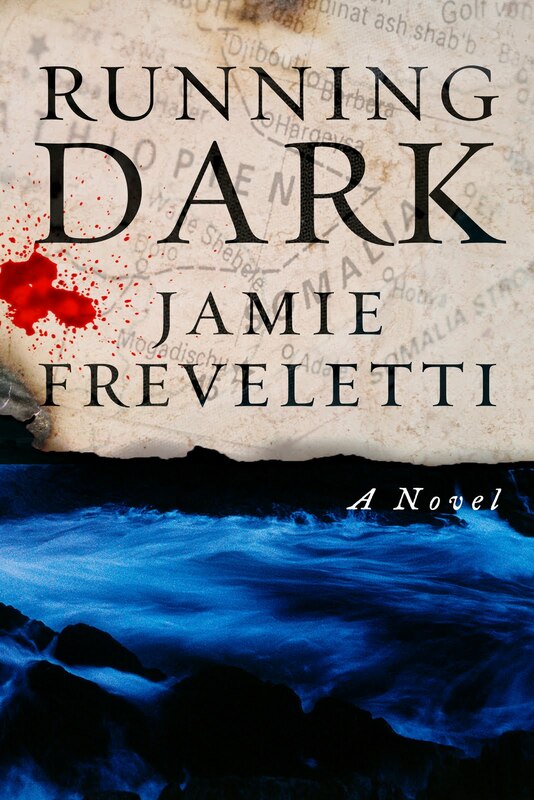 Congratulations on RUNNING DARK... and I'll see you at the Book Stall on the 19th. Jamie, that's solid advice for debut and veteran authors. Congrats on the launch of RUNNING DARK. See you at ThrillerFest. Congratulations, Jamie! I loved your first book and look forward to reading the new one shortly. Keep up the terrific work!!! Jamie, congratulations on your launch, and thanks for a great set of checkpoints.